GOTTI is the BATTLEFIELD EARTH of fact based mob dramas. 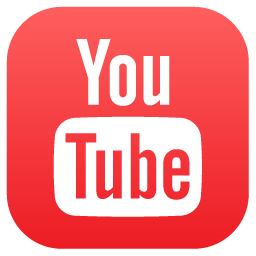 It simply has no business being as categorically awful as it is. The film is, of course, based on the life of notorious Italian American New York residing John Gotti, who became one of the most powerful and ruthless mob bosses in the Big Apple's history. There's a sprawling, epic, and compellingly layered crime drama to be made from this criminal, but GOTTI is so amateurishly and pathetically scripted, directed, and edited that you have to think about what was going on in the collective minds of the people in front of and behind the camera during its production. This feebly concocted film is made all the more shameful because it wastes a fairly decent and dedicated performance by John Travolta that plays the titular character over the course of thirty years in the story. By the end of the film you're left wondering how much better this subject matter and Travolta's work here could have been supremely elevated by a more competent production. Regrettably, GOTTI went through terrible production hell to finally reach its mindlessly mediocre current state, with several years passing by and several prominent directors (like Barry Levinson) passing on the project, which is usually the qualitative kiss of death for any film, mob related or not. The whole framework for how Gotti rose to prominence and unlimited stature through the ranks of New York's Gambino crime family and finally to being the city's overruling boss seems ripe for cinematic exploration. This guy's rap sheet - involving his 1992 conviction for five murders, racketeering, obstruction of justice, tax evasion, illegal gambling, extortion and loan sharking (following acquittal in three high profile trials in the 1980s that cemented "The Dapper Don" as also a "Teflon Don") - is almost enough for mini-series treatment in terms of its scope and scale. Unfortunately, GOTTI is so scattershot in approach and ultimately misguided in terms of its basic focus that the resulting film feels like a brief and ill framed snapshot of its historical figure instead of a thoroughly engrossing portrait of him. That, and GOTTI commits the unforgivable sin of being numbingly dull. Directed without any flare, finesse and basic proficiency by Kevin Connolly (yes, "E" from HBO's ENTOURAGE, who seems several competency layers removed from a filmmaker like Levinson), GOTTI becomes creatively lethargic within its opening minutes, which showcases Travolta's aging crook breaking the fourth wall by telling audiences that "This life ends one of two ways: Dead, or in jail. I did both." There's nothing inherently wrong with a voiceover narration track from beyond the grave, but here it seems woefully gimmicky and to help spice up an already lackluster screenplay. 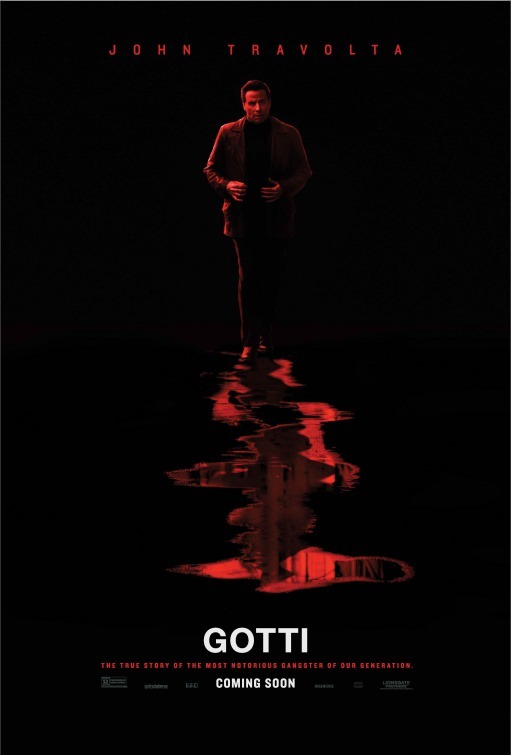 Told ostensibly through his voice and POV, GOTTI's features a jarringly meandering and convoluted overarching plot that confusingly jumps back and forth in time, mostly without any fluidity, as Gotti in the present - battling cancer and facing a lengthy prison sentence - tries to convince his son (Spencer Rocco Lofranco) not to take a plea deal with the Feds, seeing as he thinks they will betray him and put him behind bars. From there we get awkwardly constructed vignettes from various stages of Gotti's life in organized crime, not to mention life at home with his beleaguered wife (Travolta's real life spouse Kelly Preston). We also see Gotti's earliest days in crime, seeing him climb the corporate crime ladder, so to speak, in the Gambino crime family under the tutelage of his mentor (Stacey Keach), and he becomes mostly successful with his superiors because of his abilities to eradicate their enemies without fear or hesitation. The film then tries to dig deeper into Gotti's emergence as an unstoppable mobster force that he became famous for, known for his flamboyant style and appealingly outspoken personality that made him a strange folk hero for some misguided souls in New York. Gotti's crimes, as history has shown, did catch up with him, and perhaps the only scenes that generate any dramatic or emotional impact are the ones showing his frail and diseased facade trying to convince his son to not work with law enforcement to curtail his own sentence. The only thing that made GOTTI even passably endurable was the presence of Travolta, who manages to create a genuinely layered and lived in performance when the entire film around him begins crumble without any hope of saving. It's a tricky acting challenge in the sense that Travolta has to capture Gotti's endlessly cocky demeanor and his vicious nastiness that made him both respected and feared, and for the most part Travolta does a credible job of inhabiting this man, even when some questionably shoddy makeup choices almost betray his good work. The central challenge of most mob movies is that they tend to glorify their main antagonists to the point where you're enthusiastically and misguidedly rooting for them like anti-heroes, but Travolta seems in on the notion that Gotti was a beloved media figure because of his innate charm, but when all is said and done he was also a sadistic man that killed a lot of people and without mercy or remorse. What does overturn Travolta's commendably decent turn here, though, is the film's laughably misplaced sense of morality when it comes to what it thinks of Gotti as a person. If anyone were to watch GOTTI and didn't do their own homework on the man going in then they'd learn that he was mostly a loving family man and a pretty okay guy, not to mention that his son was a poor victim of the government persecuting his family as a whole. This all rings so categorically and obnoxiously false. Connolly peppers GOTTI with actual archival footage of everyday New Yorkers of the era extolling Gotti - upon his death - as a man that got a bad rap and, when the chips were down, had the little guy's back and made neighborhoods safer. Very little effort is made by Connolly to present other archival footage showing the flip side to citizen's views of the gangster as a man that killed and cheated his way to the top of an unpardonable criminal empire. The fact that Connolly seems to be propping up Gotti as some sort of saintly figure that should be forgiven for his crimes is patently indefensible and shows this film's warped perogative. Things aren't really helped either with the overall screenplay unrelentingly segueing from one unrelated moment of Gotti's life to the next, and the fractured nature of the storytelling here makes for a hazardously muddled and confusing film. GOTTI displays very little narrative patience with its material and Connolly seems instead foolishly inclined to rush from one beat to the next, leaving the coherence of what's being presented all the more lacking. A free wheeling approach can often make slow films work better and generate stronger forward momentum, but GOTTI feels twice as long as its relatively short running time suggests as it hastily flashes from one scene to the next and, in the end, leaves us the barest of bare impressions of what really made Gotti tick. Maybe the film would have worked better if it squared in on John Jr. and his perspective of his father's life (the film is based on his self published memoir), but GOTTI is so damn unwilling to settle down and spend time shaping the material. Even very astute audience members - myself included - will struggle to figure out what time period one sequence is in separate from another and how they relate to one another. GOTTI is, for lack of a better word, a mess. The decades spanning real life story of one man's journey from made man to crime boss should have been a proverbial win-win and one for the ages as far as the genre is concerned, but GOTTI is so thematically tone deaf, so insipidly handled, and so monumentally disposable as a mob film; why any creative team would have bothered in the first place is a stupefying mystery. And Travolta - a great actor when given the right material and filmmakers to work with - could have led the charge of a masterful portrait of the Dapper Don. Instead, he - and much of the decent supporting cast - is infuriatingly wasted and forced to inhabit a movie that's barely worthy for theatrical release. No mob movie should make you fidget in your theater seat out of sheer disdain and boredom as much as GOTTI does. In relation to other classic example of its genre, this one is of the swimming with the fishes variety...it's simply D.O.A.